Turkey the winner as cancellation of South Stream gas route signals end of Euro pipe dream, says Ben Aris. The announcement came out of the blue. President Vladimir Putin had just arrived in Turkey when he told reporters Moscow was scrapping plans to build the $40bn (£25.5bn) South Stream pipeline that cuts Ukraine out of Russia’s gas delivery infrastructure to Europe. A new pipeline to Turkey would be built instead. Alexei Miller, CEO of the Russian natural gas monopoly Gazprom, added that South Stream was dead and would not be reactivated. The controversial pipeline has been a point of conflict between Moscow and Brussels for the past two years. The EU in effect blocked its construction by ruling that it contravenes European competition laws. It was also unhappy to see Russia increase its influence in south-east Europe by offering cheap energy deals. The EU says South Stream does not comply with its Third Energy Package on giving competitors third-party access to gas. Gazprom deals usually ban customers from reselling their gas. Mr Putin also pointed the finger at Bulgaria’s lack of enthusiasm, which failed to get the necessary permissions from the EU, adding Sofia would forgo €400m (£320m) in transit fees as a result. Bulgaria is caught between a rock and a hard place: EU membership and its wish for more cheap Russian gas. It froze the implementation of the project on its territory in early June after the European Commission opened proceedings against it for failing to comply with EU rules on procurement and construction. Sofia insists the project can go ahead, but according to EU law. Speaking on Russian television after Mr Putin’s December 1 meeting in Ankara, Mr Miller said Bulgaria, not the EU, was to blame for the cancellation. Reports that the project had been cancelled because it failed to meet EU anti-competition demands in the Third Energy Package were “nonsense”. “The project was closed due to unexplained delays and a lack of permission from the Bulgarians for Gazprom to build onshore and offshore sections of the pipeline,” the spokesman added, quoting comments made earlier by Mr Miller. However, Gazprom clearly suffers from western restrictions. The initial price tag was $14bn (£9bn) but estimates soared as Gazprom’s bank was put on the sanctions list and cut off from international capital markets. Construction of the initial Russian section of the pipeline has been completed, but the underwater section through the Black Sea has not. “There’s no point in us building a pipeline to the coast of Bulgaria only for it to stop there because work is blocked in Bulgaria,” Mr Putin said. Countries on the route – Serbia, Hungary and Austria – are unhappy with the Russian president’s decision. The project would have brought cheaper gas, improved energy security and large transit fees. Serbia, which is heavily dependent on Russian gas, had hoped cheaper energy and the $4bn investment in construction would revive its flagging economy. Serbia’s Prime Minister Aleksandar Vucic said the cancellation was “bad news” for Serbia. “Serbia has been investing in this project for seven years, but now it has to pay the price of a clash between the great (powers),” Mr Vucic said. But south-east Europe’s loss is Turkey’s gain. Turkey is one of Moscow’s biggest trade partners and a leading direct investor in Russia. Mr Putin hopes the new route will enhance a strong partnership. South Stream, with a projected annual capacity of 63 billion cubic metres (bcm), was supposed to run from the Siberian gas fields under the Black Sea to Bulgaria, and continue to the Baumgarten gas hub in Austria. The key to the route is that it bypasses Ukraine, which accounts for 52pc of Russia’s gas deliveries to western Europe. Once the new pipeline to Turkey becomes operational, the role of Ukraine as a transit country “will be reduced to zero,” Mr Miller said. Russia will, however, continue to provide enough gas for domestic consumption in Ukraine. A Turkish route would supply the energy-hungry country directly with 14bcm of gas, replacing supplies from Ukraine, and enable it to transit another 50bcm for export to the rest of Europe via a new gas hub on the Turkey-Greece border. Relations between Russia and Ukraine were fraught even before the political crisis began at the end of 2013 and Russia is looking for a way to cut the Ukrainian leg out of its gas deliveries because Kiev cannot afford to pay its bills. Ukraine’s economy has been in a dire state for years. It is one of only two countries in the region where incomes have not recovered to the levels of 1991 and the end of the Soviet Union. Its economics minister Aivaras Abromavicius admitted on December 12 that the country was “bankrupt”. Its inability to pay for gas had led to several showdowns with Russia. In the winter of 2006, the Kremlin turned off supplies when Ukraine failed to pay its bill; it has built up $5bn of debt since. In the past, the government in Kiev simply siphoned off gas even when it couldn’t pay for it. South Stream is widely regarded politically as anti-Ukrainian in the West, but the Kremlin says it simply wants to send its gas to customers who will pay for it. The Turkish route makes sense on many levels. Importing enough energy to fuel Turkey’s rapid growth has been a major headache for Ankara, which is running a significant current account deficit; cheap Russian gas is appealing. The deal is good for the Kremlin too – the Turkish pipeline is likely to cost half as much to build as South Stream. But it is far from a done deal. Turkey has raised the stakes by announcing it will go ahead with an alternative 20bcm pipeline to import gas fom Iraq. 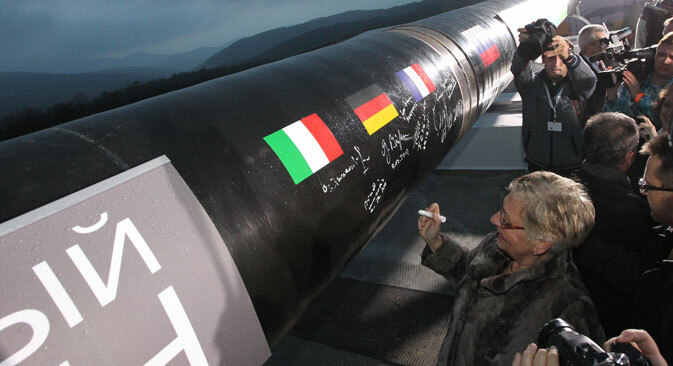 The collapse of the South Stream project has also put the cat among the pigeons in Europe. While Brussels doesn’t like the politics of the pipeline, Europe still needs the gas to power its economies.